Posted in Annual Kill Reports, West Virginia. This is a legitimized blood bath that needs to end now, and the only way it’s going to end is to stop financially supporting this carnage. Stop all financial support from casinos. Stop all support from taxpayers. 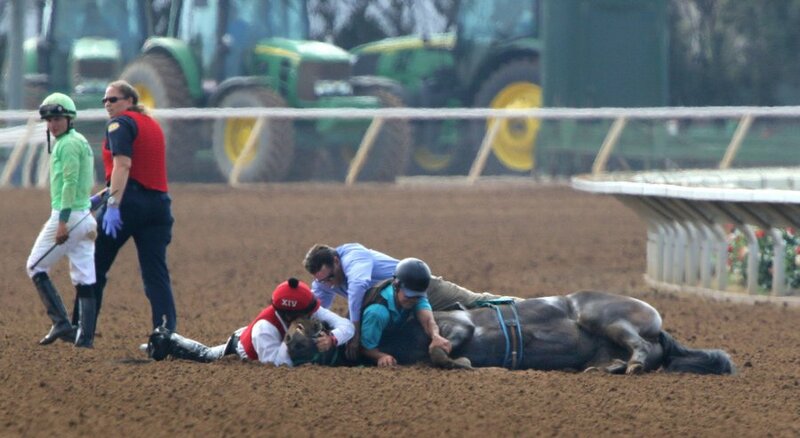 So sorry for these racehorses who died in the dirt for this despicable, antiquated business model. Anybody who participates in this business, in any capacity, is an enabler of these deaths. You should all hang your heads in shame.